Love You Long Table is Full! Here is some of the bounty we will be serving up! Our dishes will be complemented with wild foraged and scavenged greens, herbs, fruit, and nuts, as is our habit at MuseumEats. And last, we are offering a sophisticated, natural wine pairing designed by our lovely Julie of Burdock & co and @julie_ness. So looking forward to sharing with you all. We believe Funghi have magical properties that somehow transform themselves into foods that resemble Meat, fish, poultry, blood, brains, bones and innards. Mushrooms are the inspiration for this dinner of Masquerade and deception. The menu is 100% vegetarian with foraged mushrooms and scavenged plants as our canvas for the absurd. This dinner is a Love you Long Table production with 10 seats and 10 Courses. Email us at museumeats@gmail.com for more information or to RSVP. Tickets are $50 not including wine pairings. Spots fill up fast. Fall is our favourite time at MuseumEats. Not only is it the cornucopia season, but we love camping and picking mushrooms, and playing with all our fermentations. In case you are interested in getting in on our action, here is a list of our events for October. When we started writing the list of events, there were tons of spaces for people to join us, but since we put the last words on the page, the spots have filled up- our apologies, and we promise to post November's events before they are full!. MuseumEats strives to keep things accesible and affordable, so prices are posted as our bottom line/break-even amount. If you would like to pitch in more to help fund future projects, we are happy to accept. Oct 23rd: PENDING RELEASE The "Masquerade" a Love You Long Table secret supper $50-100 per person. Tickets are very limited and will be released on Oct 13th. Oct 29th: Kaylie goes to New Mexico to start her studies in Albuquerquean artisan eats. Stay tuned for her posts! We are happy to announce that our October Foraging Series is fully booked. There is a possibility that a couple spaces might open up for the 26th so we do have a small wait list if you are keen on it. Just email us if you are interested: museumeats@gmail.com. November will definitely have a few more workshops (from foraging to fermentation), and hopefully some free ones through SFU or the Purple Thistle. Those dates will be posted closer to the end of this month so we can give you a better heads-up. Thank-you everyone, for being so supportive and interested in what we've been doing! We love you! 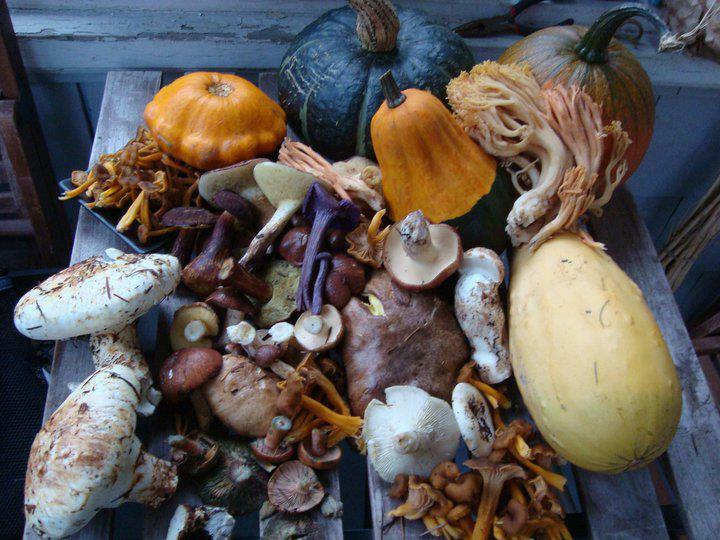 It's Fall time again and that means mushroom foraging and the cornucopia of all the fruits of the earth. This year we have designed a series of Foraging Workshops scheduled for Sundays in October. We are aiming for affordability and flexibility, so you may elect to attend one workshop or come to them all, and payment is on a sliding scale. Who: Camille Flanjak is the Executive Forager for Exile Bistro and a wild foods consultant with MuseumEats. 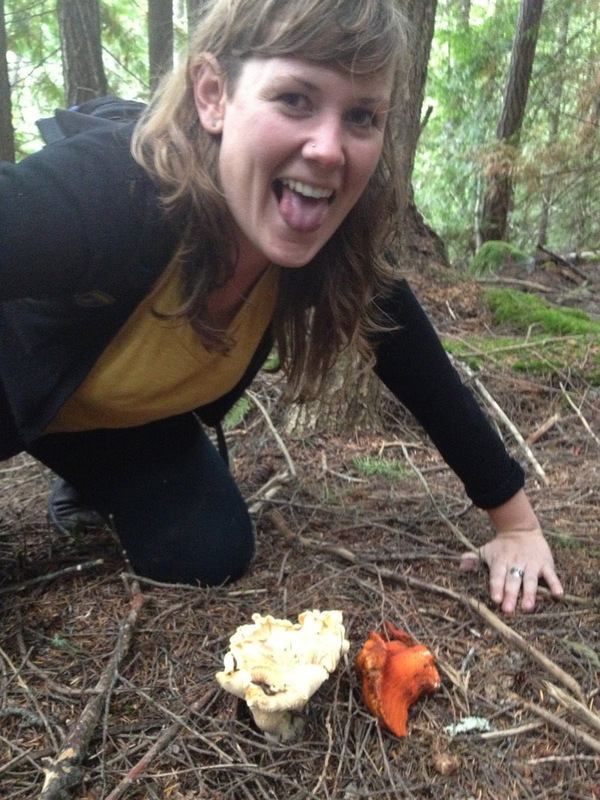 She studies permaculture and has been obsessed with mycology since she was a 'tween. Where: Meet ups and drop offs are in East Van. Cost: $30-60 sliding scale. In order to scrape even with materials and transportation, the minimum cost per person per Sunday is $30. Every workshop you'll be going home with a tincture, wild herbs, vegetables, greens, and/or mushrooms. We like to call this extra bit the 'grab bag' from the wild party. *Please come appropriately dressed- gumboots and parkas are encouraged on rainy days. **If you aren't able to bring anything to share for the potluck don't worry. Also, we welcome all kinds of food so if you have any allergies please share this information with facilitators ahead of time. Since all of our workshops are full, we are limiting registration to a waitlist. If you are still interested in the October 26th workshop, please email museumeats@gmail.com. Pilot Dish: "Eggs of the Century"
This month we are doing a lot of food labbing with our friend Vanessa so that we can generate recipes for the new restaurant she is opening with her business partner Sylvain. A few of the dishes we are trying out include gluten-free, vegan granola, tea eggs, and wild game fondue. The people we are working with are a collection of beautiful brains, who think of food differently than just a means to making profit. Sylvain is prone to expressing his anti-capitalist perspective while weighing in the necessity for money in this kind of endeavour. Meanwhile, the cocktails, dreamed up by Vanessa, are tailored not only for a booze buzz, but also for holistic health. We are working on having a wheat-free or something close to wheat-free kitchen and catering to alternative diets. The meat at the restaurant will be wild and so will a lot of the greens and herbs. It's exciting to be able to collect plants and watch them evolve all the way from the forest to the plates in a restaurant. Our other project this month is "Love You Long Table"- an unconventionally romantic night at The Museum wherein we will seat all the diners at one long table to share in a meal together. The goal is to appeal to the senses and nourish not only our bodies with wonderful food, but also our hearts and souls by the great company. We will be serving 5 courses- the first being a charcuterie board featuring lots of wild disguises and alternative diet-friendly treats. But don't worry: if you are a meat head you won't even notice. It's happening the night after Valentine's Day. The price is $40 per person for all 5 courses, with an option to pair wine. We are only doing two seatings (6pm and 8:30), so space is very limited this time. Of course, we cater to all the queer diets, so let us know if there are any restrictions. Email us if you'd like to make a reservation: museumeats@gmail.com. And stay tuned if you're interested! By the end of the week we'll have a rough menu posted and will probably be close to booked. 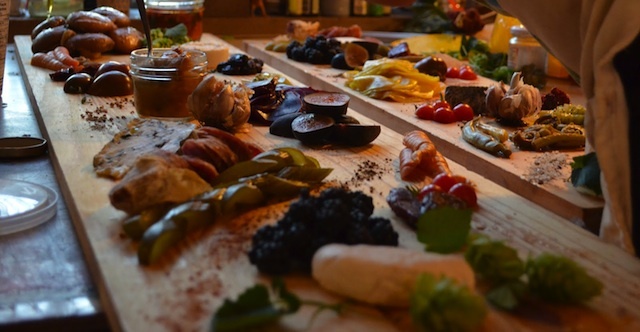 This blog is a collection of thoughts, photos, and events put on by folks who love food. The back bones of the group are Cameal: the forager/gardener, KBar: the chef/bartender, and Julie: the aspiring sommelier/server. We'll also feature posts by other bloggers and brains from time-to-time. 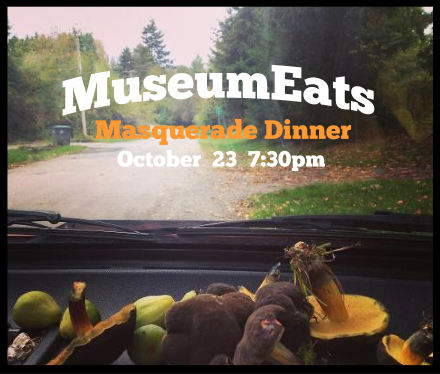 What we do: mostly we put on dinners hosted at the Museum by Trout Lake. Sometimes our location will change. We also consult for restaurants, lead forays into the wild to collect food, and teach people about stuff like lacto-fermentation and the intricacies of wine-tasting. Our focus: is hedonistic. We know that if we eat all the delicious things without thought, they will not last. Because we want our enjoyment to last, we try to make good choices and share this knowledge with others. In our blog: you'll find information on our events, a monthly Forest Food update and a monthly Museum Kitchen update. There may be a recipe here and there, as well as lots of tantalizing photos. Thanks for taking the time to check us out, and please feel welcome. Don't hesitate to contact us for reservations to events, consultation information, and any related questions.